Universities face a balancing act as they become increasingly expected to improve services whilst being mindful of strict budgets. Smart solutions are critical to achieving this goal. 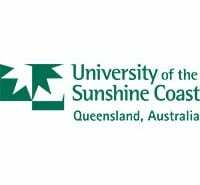 Security – installing LPR cameras at all the entries and exits to a campus will allow for alerting on vehicles of interest and comprehensive searches of vehicles on site when an incident occurs. Parking – Sensor Dynamics have several solutions to manage campus parking. This is often done in conjunction with other technologies such as pay-by-phone, pay-by-plate or ticketed parking management equipment. 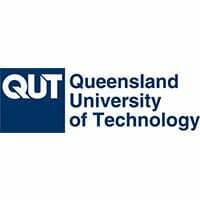 Future Planning – given the data-rich nature of our systems, LPR can be used for capacity management, infrastructure planning and traffic management, all leading to more information for management to make informed decisions on how to best improve the student experience. Knowing how many cars are parked in an area and for how long can be valuable information for a council, shopping centre or car park. All sorts of issues arise around staff parking in customer areas and abuse of restrictions. Whether you have a private off-street parking complex or are managing an on-street parking area our parking solutions which combine a number of high-tech technologies can be used to optimise your efficiency, generate or protect revenue and greatly improve customer satisfaction. If you have a restricted parking area you’ll be aware of the issues with pin codes and key passes when trying to manage access points. This volatility means that unauthorised vehicles continue to make their way into areas where they are not allowed. Having a dedicated staff member there to cross-check each vehicle and provide statistics on the amount of time they’ve visited or how long they’ve parked is not a viable option. A valuable method of communicating targeted messages to visitors of your site. Advertising can be used to increase brand awareness, build strong loyalty campaigns and increase overall site revenue. Ensuring the mix of vehicles, buses and taxis passing through a campus runs smoothly is essential to a positive and secure experience for all students, visitors and teachers. If you’re contemplating whether automatic number plate recognition (ANPR) can help your business gain the insight you require then a leased system is the answer: with no servers, no cabling, no integration and no commitment, you could have the information you need in weeks not months and at a fraction of the cost. In order to gain an understanding of travel times or traffic patterns LPR cameras can be used to track individual vehicle movements from a single site to multiple sites or a highway. Valuable data around most used traffic routes, entry and exit times and time taken from one point to the other can be uncovered using this system. It’s important to be proactive against security threats, known offenders and persons of interest. Our security solutions which include licence plate recognition (LPR) and other technologies serve to secure your premises perimeter or entrances. Residential and commercial complexes often struggle with limited car spaces and tenants with visitors or additional cars taking up reserved spaces. A cost effective means of managing tenant and visitor vehicles entering the parking area is by scanning their plates and only letting in vehicles which are on a predetermined watch-list. We are interested in collecting data on student parking across campus but don’t want to install a permanent system. What can we do? Sensor Dynamics have a temporary LPR solution that can be quickly implemented without the need for cabling or connectivity to be provided. This unit can be rotated around campus to capture statistics across the year without the need for a large capital investment. We have permit parking and pay-as-you-go available on site, will the system be able to recognise the difference between vehicles? Yes. Vehicles that have paid for a semester or a year of parking will be given a virtual permit against that plate. It is even possible to have several plates registered against one permit and recognise if one of those vehicles is already on site and flag the second. The Monash University in Clayton has many unsecured entries and exits across a wide-spread campus. 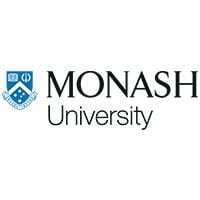 There was a requirement to ensure the highest level of security possible without being an imposition on the large scale of Monash’s operation and volumes of traffic. In order to ensure security staff were able to respond in the most effective manner possible, a pro-active system with advanced analytics was required. Sensor Dynamics provided 18 fixed LPR cameras to monitor the entries and exits across the campus. 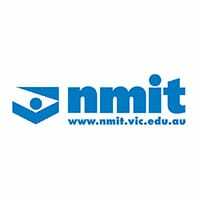 A complete history of all vehicle movements is stored on the Monash University virtual network. The LPR system has enabled the Monash University security team to be pro-active in their handling of campus security. Alerts were set up for ‘vehicles of interest’ so that security know as soon as they have entered campus and from what entrance. The system has also allowed the Master Planning Committee to gather campus usage statistics that have been invaluable to future infrastructure planning. 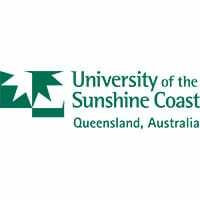 The University of the Sunshine Coast had a Pay-By-Plate system provided by Integrated Technology Solutions (ITSL) however facilities management found existing procedures for checking suspect vehicles were inefficient. In order to ensure appropriate use of the car park and bring certainty to revenue capture, mobile permit compliance was implemented to complement the ITS parking meters. Sensor Dynamics provided a mobile LPR kit for staff to conduct sweeps of the parking areas. The LPR server was integrated into the ITSL parking system and downloads all the permits as they are purchased from the parking meters. 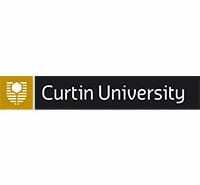 Curtin University creatively overhauled the way parking was managed on campus. With an aim to free up more parking spaces, Sensor Dynamics, in partnership with CellOPark, delivered an innovative solution combining Pay-By-Phone system with licence plate recognition technology. Students arrive on campus and begin their parking session via a smartphone application. Staff patrol the car park with a vehicle equipped with LPR to detect vehicles that have not paid or whose session has expired.